Waltham, Mass.—March 5, 2013—BlueSnap today announced that online companies from a range of industries, including games, security, and software development, have experienced significantly higher online conversion rates using its comprehensive global buying platform, which fuels growth for online merchants across digital, physical and mobile markets. With more than 5500 customers in 145 countries around the world, BlueSnap’s proven platform delivers a buying experience that significantly increases conversions. Among its features, BlueSnap provides branded checkout that typically increases conversions by 30% compared to non-branded checkout. BlueSnap’s BuyNow capability enables the shortest possible checkout from any page, typically leading to 10% higher sales. BlueSnap’s global capabilities deliver automatic localization in language and a broad range of popular, local payment methods, dramatically reducing shopping cart abandonment for global merchants. Single-click ordering for returning customers delivered 25% higher conversions for one B2B merchant. Matrix previously used another payment platform. “Switching to BlueSnap from a competitor increased our revenues by 25 percent from the same amount of website traffic,” said JD McNeil, CEO, Matrix Games and Slitherine a video games Publisher. BlueSnap is a comprehensive global buying platform that fuels growth for companies serving digital, physical and mobile markets. 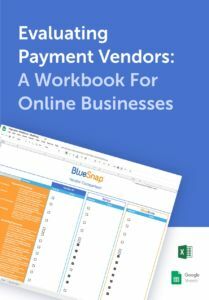 A single dynamic platform, BlueSnap helps businesses grow faster through a configurable and flexible approach to eCommerce, Payment Processing, eMarketing and Subscription billing. Businesses can simply integrate BlueSnap’s innovative and powerful BuyNow capability solutions anywhere onto their web sites supporting any merchant buying model. BlueSnap’s global network securely supports over 5,000 online businesses in 145 countries in multiple languages, currencies, payment methods and devices.Learn more at: www.bluesnap.com.